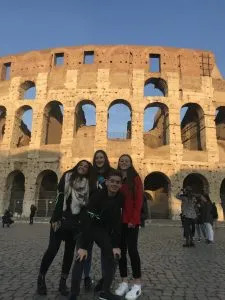 I chose an AFS Intercultural exchange in Italy because I’ve always loved the sound of the Italian language and dreamed about seeing Rome and eating real Italian pizza. 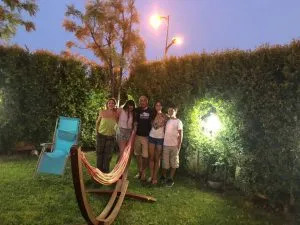 My host family were a tight-knit family that consisted of a mum, dad, sister and brother. We always had great food on the table and I knew that if there was ever a problem I could tell them and they would be interested in helping me. Although both my parents worked full time, family lunch was always a very important time for us each day. I knew that learning and speaking a new language would be a big challenge but the culture and family dynamics were actually harder to understand and adjust to. The most challenging part of my exchange was adjusting to living with another family. 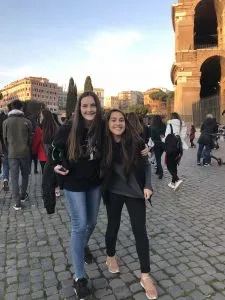 I remember watching so many videos on Italian culture but I don’t think you will ever understand until you go on exchange – it’s an experience you can’t replace with anything else. Something that surprised me during my trip was that not many people knew much about Australia. Most people I met thought I was from America or England. 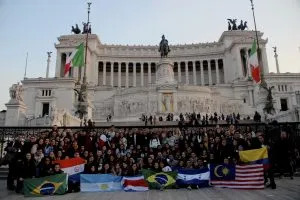 I learnt to stay positive during challenging times, accept the differences between Australian and Italian culture and make the most of my time in Italy. Because of my AFS exchange, I’m now going to study the Italian continuers course for my HSC. I ended up being able to speak to my Italian friends in Italian and I can understand it very well. Since coming back from exchange I have a more open mindset and my attitude towards so many social issues we face today is much stronger. I’m interested in other countries around the world, too. Before leaving Australia, I think I lived in a bit of a bubble where I didn’t really think about other countries but that has changed so much, I’m so interested in other cultures, after all, we all live on the same planet and I believe that to fix big issues we face today we have to break down barriers between borders and understand that we’re not that different after all. I feel a lot more passionate about my values and views now. I have so many things that I would love when I finish high school! My plans are to do something in acting or creative industries. I believe entertainment is such an important outlet and creative space for people and I love that language isn’t really a barrier for me anymore. Or, I might study something in creative industries, communications or international studies. 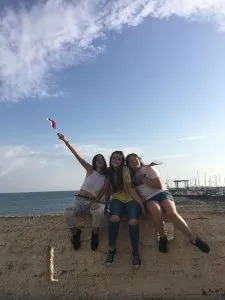 I also want to travel, I want to see the world and meet up with my AFS friends in their home countries all over the world and understand more about the beautiful planet we live on. If you’re thinking about going on exchange, my advice is simple: 100% do it. Know that you have to make the effort to be confident, happy and friendly and it’s all worth it. Traveling after high school is great but anyone can do that. If you have the chance do it now, throw yourself into the deep end I promise you won’t regret it! My advice to parents is that you will miss your children when they go on exchange, but that shouldn’t stop them from going. You can’t put a price on an experience that is so rich in what they will gain. Your children will get to see the world, become more open minded and educated. I think the world would be so much better if everyone had the opportunity to go on exchange. It would limit discrimination and stereotypes. Everyone would be less selfish and a lot more open minded. My favourite memory from my trip would have to be a few days before I left when all my friends threw me a surprise party on the beach. So many people showed up and we sat around the fire, ate pizzas, sang and danced. I will always remember that night. I’m a happier person, I can spend hours looking at a world map and I now have the travel bug. My exchange experience has changed me for the better!